While winter is a great time to cozy up with family and friends, for many homeowners the holiday season is also a wonderful time to catch up on home improvement to-do lists. Although there are many winter-weather projects that can easily be accomplished by handy do-it-yourselfers, there are a handful that are better left to the pros. While it may be tempting to try and save money by doing the work yourself, some projects require expertise that goes well beyond the skill-set of the typical homeowner. If you want to keep your house in great condition and avoid unnecessary stress the following projects are best left to a qualified home improvement contractors. There’s nothing like the frigid winds of winter to let you know that the windows on your beloved home are ready for an update. Whether you can feel the tell-tale draft of cold air when you walk by your windows or you’re seeing condensation in between the panes in the early mornings, your woes can easily be fixed by having replacement windows installed. Truth be told, there are many reasons why you may want to replace your windows. Maybe one is cracked, maybe you want to reduce your utility costs, or maybe you are just ready for a change. No matter what motivates you to get replacement windows, just know that the project is no small feat. Windows on display at your local home improvement store may have tempted you into thinking that you can fix your old windows with little to no effort. However, be aware that the windows you are seeing are not the type of windows needed to replace the ones you’re wanting to spruce up. 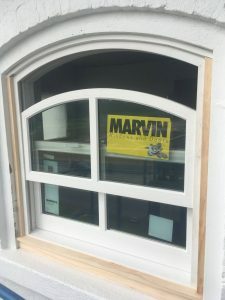 Replacement windows are difficult to get your hands on as a layman, and the skills you need to install them have a steep learning curve. A trained home improvement contractor can help you with every step of the process from deciding which windows truly need to be replaced, to picking out which windows will best suit your needs, to getting the windows installed quickly and effectively. We’ve all seen and heard horror stories about water damage and the costs associated with the repairs. You know to keep your gutters free and clear of debris. You know that having a working gutter system is your first line of defense against excess precipitation. You even know that when that pristine gutter system breaks it needs to be fixed. However, what you may not know is how dangerous and complicated it can be to fix those gutters yourself. Any work that requires the use of a ladder is inherently dangerous, and those dangers are multiplied when winter conditions lead to icy rooftops. Additionally, gutter repair is much more complicated than it appears. Hiring a qualified professional to fix up your aging or broken gutter system is the safest choice. Their work is almost always going to be of higher quality than you could manage alone and they will inevitably have access to better quality materials than you can buy. Not to mention, you’ll have access to a warranty should anything go wrong after installation. Save yourself the hassle of trying to DIY this repair, and contract this job out to a trained professional. Where would a house be without a roof? We all know how important it is to have a good roof covering our heads protecting us from the elements and the great outdoors. 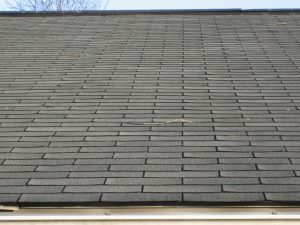 Over time, like any material constantly exposed to the wear and tear of outdoor existence, rooftops wear down, become damaged, and even become unsightly. Despite what you may think, DIY roofing is not a cost or time effective project to take on, especially in the winter months. Professional roofers have spent time learning how to properly remove old roof materials and effectively install new ones no matter what season it is. Also, as mentioned previously, any handiwork that requires a ladder is inherently dangerous. Thousands of Americans fall from their roofs and die every year. Don’t waste time and money or risk your life climbing onto the peaks of your rooftop during the winter when you could easily hire a professional. Whether your concerns about your home are practical or aesthetic, there are numerous reasons you should entrust your home to a trained home improvement contractor, especially for windows, gutter systems, and rooftops. At Eby Exteriors, Inc., you’ll find friendly and well-qualified contractors that want to help you complete your winter home improvement projects. Eby Exteriors is a no-nonsense company that is dedicated to giving you the best possible experience and the best price up front. Contact us today for a free estimate!